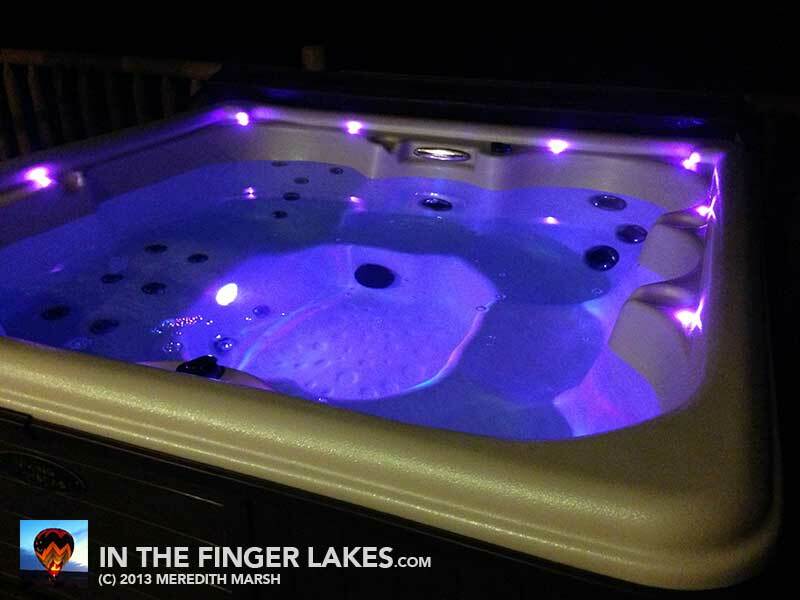 Lounging in the hot tub (with a cup of Keuka Lake Coffee Roasters). 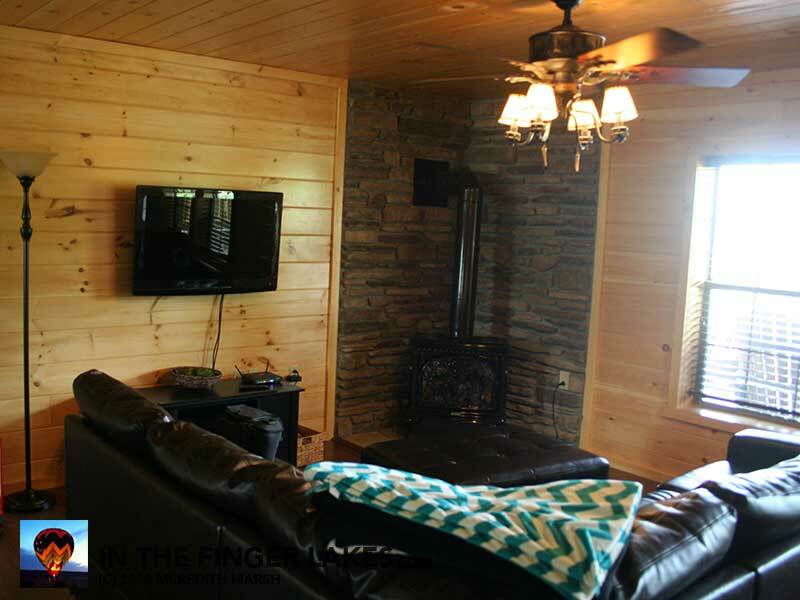 When you think “cabin” do you think “roughing it“? No longer, my friends. 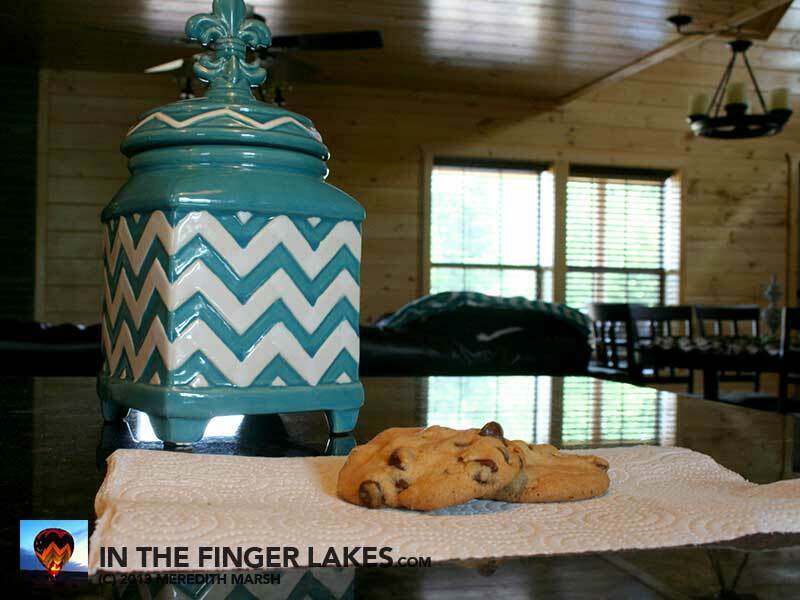 Let me introduce you to a whole new level of cabin living: Castle Point Paradise – Luxury Cabins (vacation rentals!) overlooking Seneca Lake. 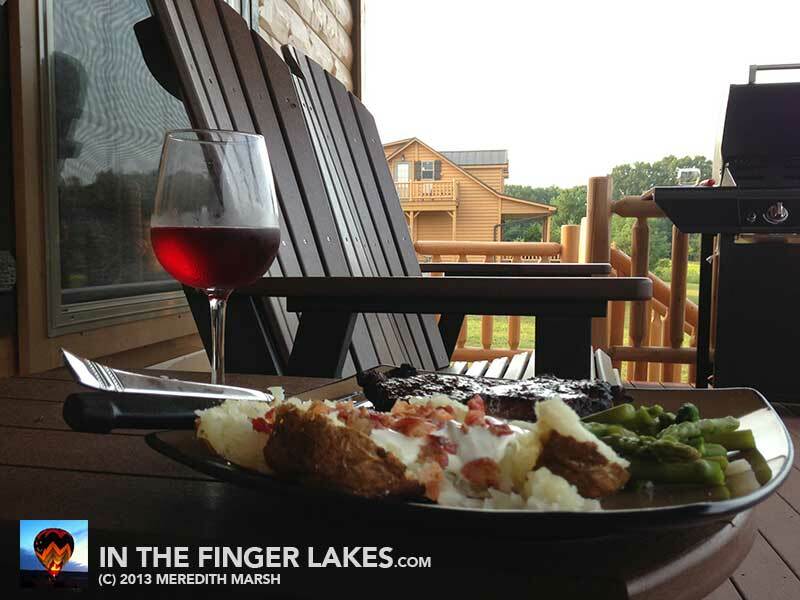 If you’ll remember, I asked you to Choose My Next Finger Lakes Adventure, and here is where I landed. 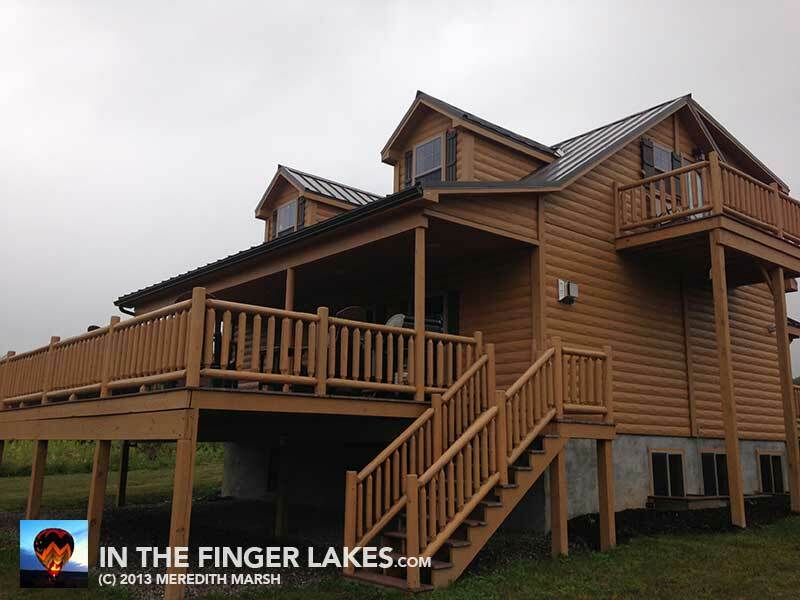 A brand new cabin on Paradise Drive, just off of Route 14 in Himrod. This one (which is one of two identical cabins, just built this year) is Chateau and it is the southernmost cabin. Chateau decorated in a style I like to call Cabin Chic. I don’t know how else to describe it, so I made that up. It works. So the hubs and I had a little stay here, and although it was short, it was relaxing and fun, with the added bonus that I have nearly convinced him that our next home should be a modular cabin (and I now just who will build it, too). We were greeted by cookies. We’re off to a great start. The view from the deck was nice. While we ate dinner, a couple of young deer walked across the yard. This was taken in the morning, when it was really foggy over on those hills. My next house will have deer in the yard and a view of foggy hills. Are you bored yet? Didn’t think so! Let’s keep going. I love the contrast of the floors and walls looking down. That’s the door that goes out to the deck. 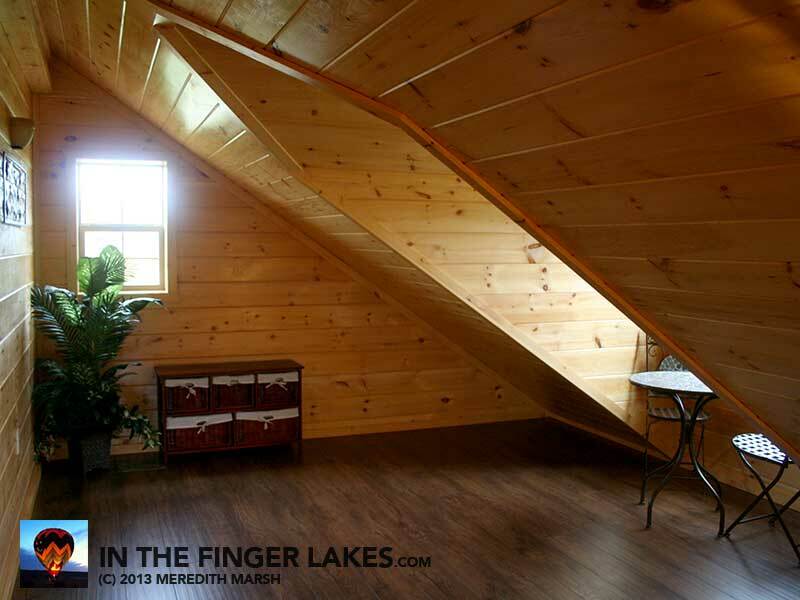 The loft area is pretty roomy, and next to it there are 2 bedrooms and a full bathroom. 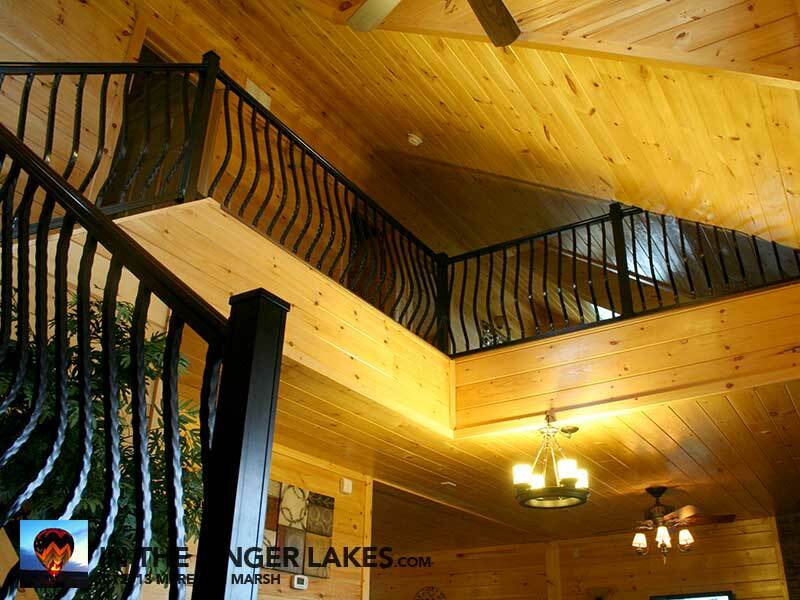 Each bedroom has a private balcony! I didn’t get good pics of them (does extreme humidity affect camera lenses?) so you will have to see for yourself. On to the basement (the hubs favorite part of this whole shindig). A TV on the wall, and again at the bar. Seriously. A total man cave down here. 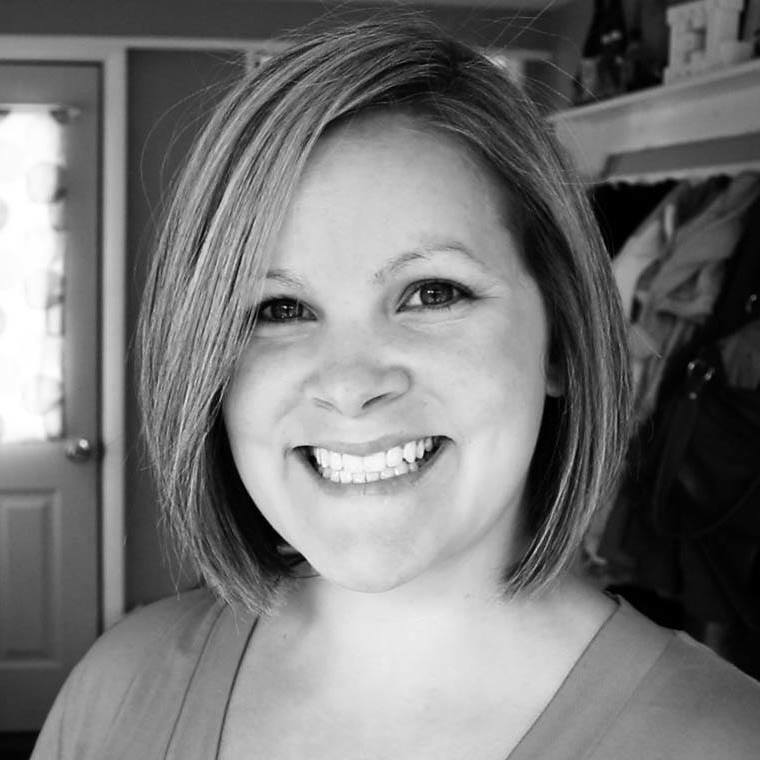 There’s also a pull down murphy bed right behind where I took this photo. Now, this is genius. 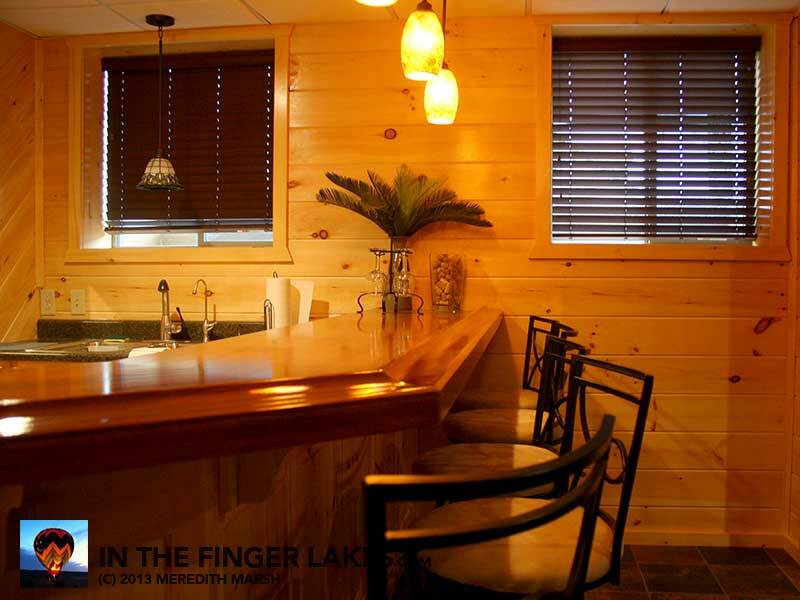 Bars in the basement are cool, but because there is a sink, a small fridge, and a coffee maker, you could totally share this cabin with another family (or several other people) with enough personal space to go around. It’s like an apartment in the basement! The steak, potatoes, and asparagus weren’t bad either. Yes that’s bacon on that there potato. We went all out for our dinner because we had a couple of friends over. And that’s Hazlitt Bramble Berry in that there glass. 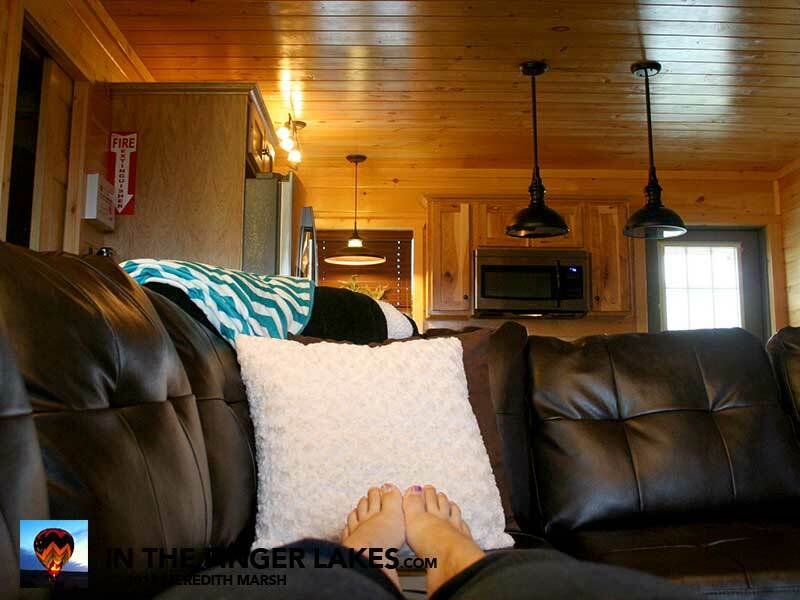 So I was thinking about why you’d want to rent a luxury cabin. 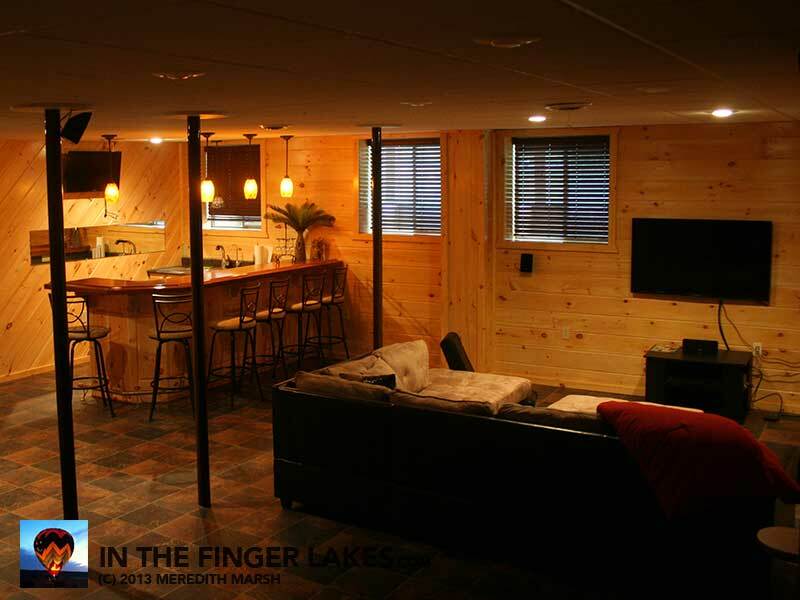 And that’s tricky, because we live in the amazing Finger Lakes, and there are a gazillion options for lake front rentals. Why stay above the lake, when you can stay *on* the lake, right? 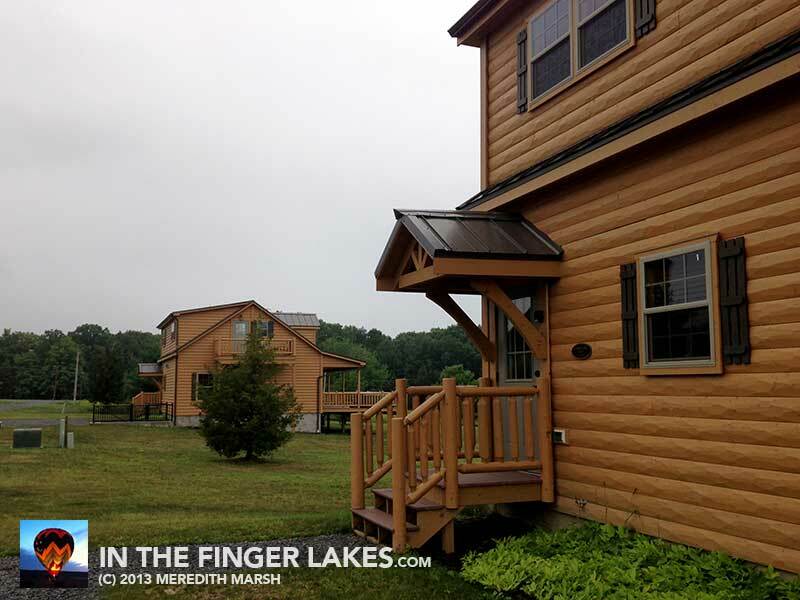 The thing is though, the cabins at Castle Point Paradise are quiet, spacious, and private. They’re new, they are beautifully decorated, and they are very comfortable. They are a perfect place for a very large family or multiple families. There is room to park, room to sleep, and room to play. The nearest neighbor is yards (not feet) away (try to find that in a lake cottage)! I could totally see a girlfriend getaway happening here. Or a bachelor party. 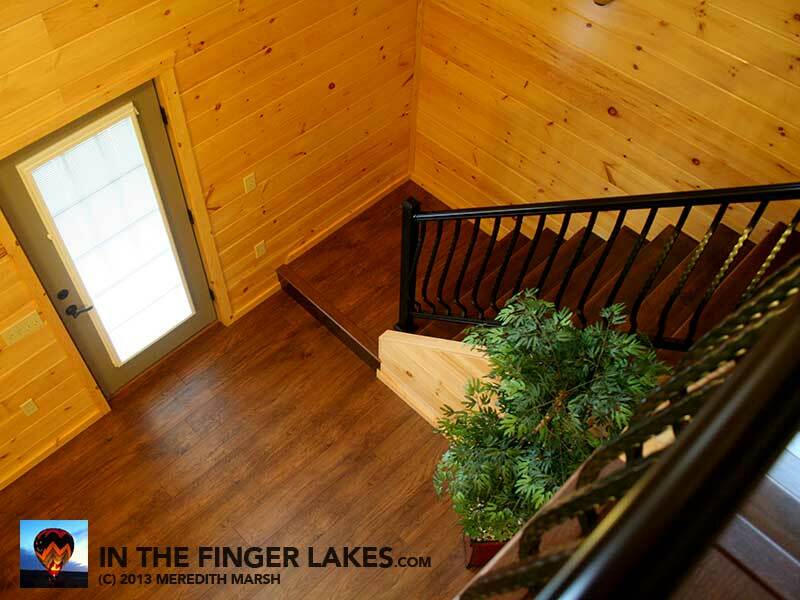 I would recommend either cabin at Castle Point to anyone who is looking for a vacation rental in the Finger Lakes. 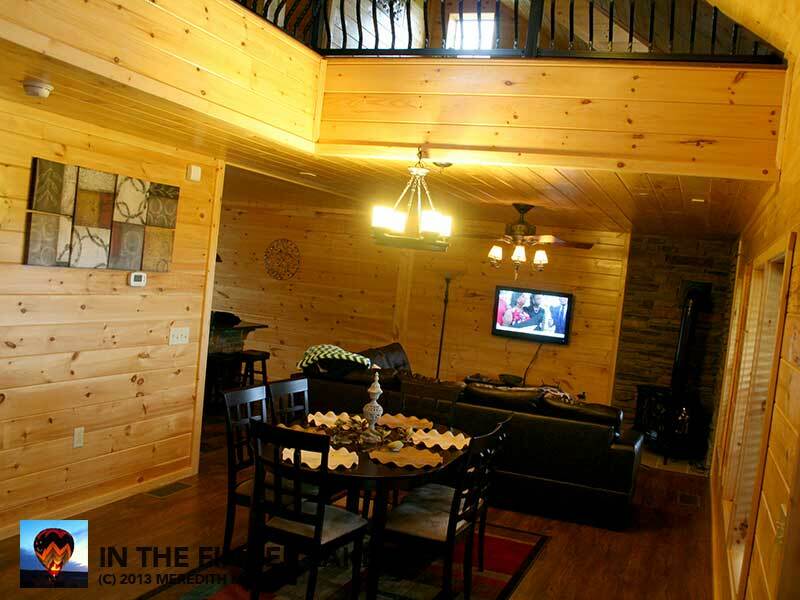 If you have questions about our stay, or about the cabins in general, leave a comment below! I’d be happy to answer any questions you have. Great place for me to send out of town guest for Frisky Wine Tours!! !